Secure false eyelashes – Ardell Fashion Lash #105 (available at London Drugs) – with eyelash adhesive. 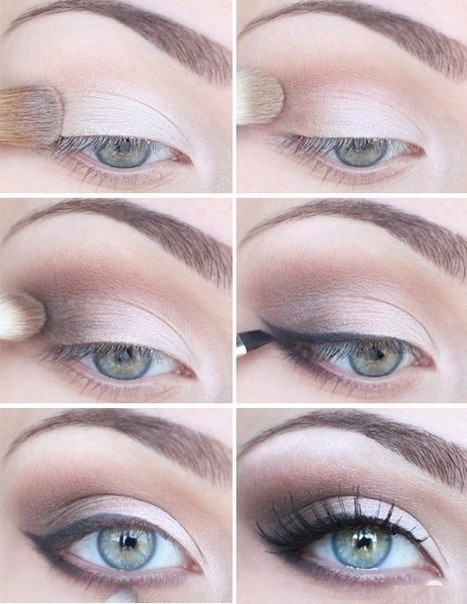 Cover entire lid up to the brow line with white shadow. Apply liquid liner to outer 2/3 of lid directly on the upper lash line. Apply brown contour/blush under the cheek bone fading out towards the ear. Apply cranberry (reddish brown) lipstick. The image is an example of how eyeshadow and eyeliner should be applied. Divide hair into two parts – an inner circle and an outer circle. Part outer circle of hair from above the left eye diagonally to the top of the inner circle. 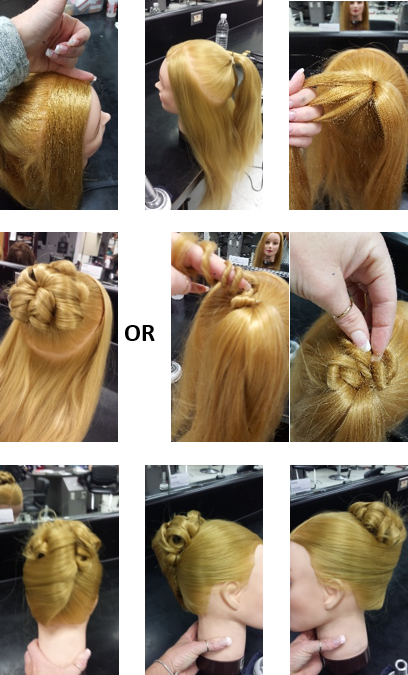 Brush center circle into a pony tail. Bobby pin individual curls from the pony tail to the head OR for long, thick hair, twist it tightly around finger and secure as shown. Once all curls/twists are pinned in the bun, brush the rest of the hair to the back under the curls and twist upwards. Bobby pin the end of the twist into the other curls. Spray with hairspray to finish.